Baby’s First Halloween is so memorable! Today’s post is sponsored by Cricut. Post may contain affiliate links. Chubby cheeks, little gurgles, and wide eyes can only mean on thing– there’s a new baby in the house! 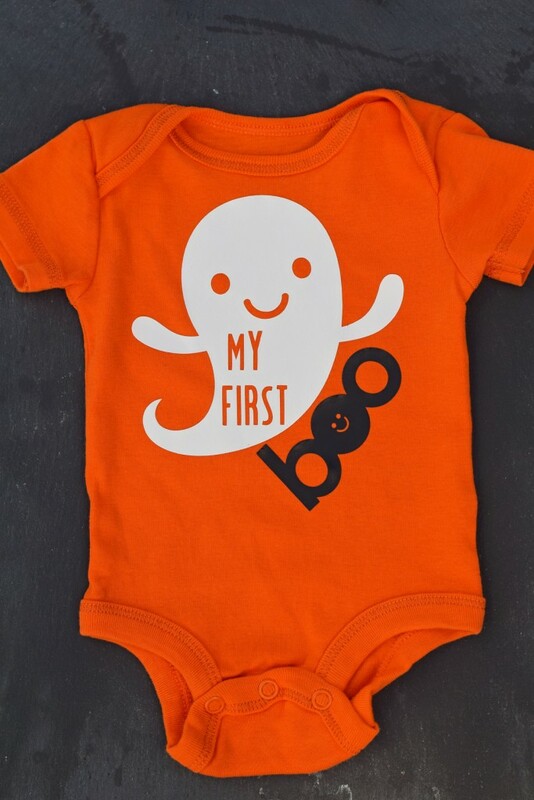 I’ve had several friends give birth over the past year, and I enjoy hearing them talk about what their new little additions will be for Halloween. I think back to my kiddos’ first Halloween holiday. My daughter was a pea pod, and the boys were little bears. I also had an assortment of Halloween themed one-piece bodysuits for them to wear (holiday themed bodysuits are SOOOO cute!). If only I had my Cricut Explore Air back then; they could have had a different Halloween themed outfit everyday! In addition to customized Halloween one pieces, there are other fun DIY projects that mom can do to make Baby’s First Halloween memorable. 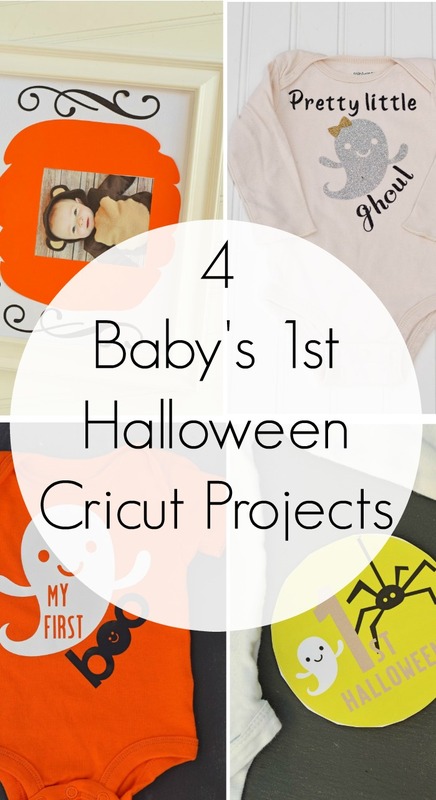 And I’m sharing a total of 4 Baby’s First Halloween projects over on the Cricut Blog today! These one-piece bodysuits are quick and easy to make with heat transfer vinyl. 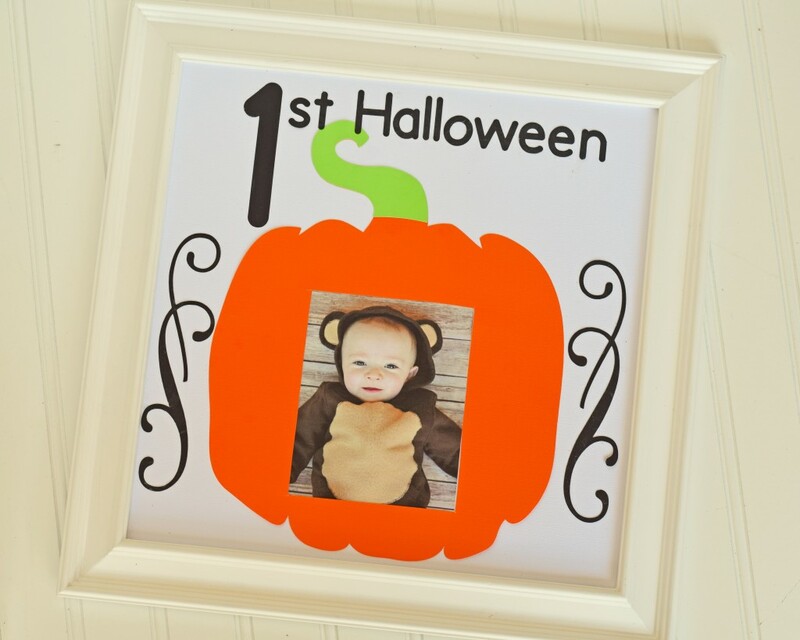 Display a photo of your little one in their first Halloween costume in this festive frame. Use this 1st Halloween vinyl printable sticker anywhere! Add it to a one-piece, to a trick or treat bag, to a frame, to a scrapbook page, or anywhere! It’s a simple way to mark Baby’s First Halloween. Head over to the Cricut Blog to get the full instructions for all of these great projects, including the cut files where I designed the projects in Cricut Design Space. All projects were made with the Cricut Explore Air, although the Cricut Explore Air 2 just released this week and is AWESOME! How did you make Baby’s First Halloween memorable? I’d love to hear in the comments below! Find these projects on the Cricut Blog HERE!! 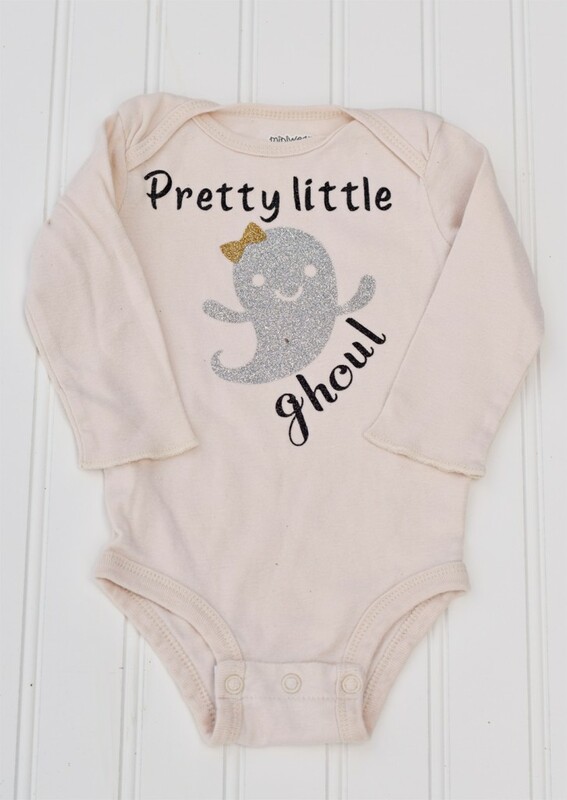 The “my pretty little ghoul” onesie is way too cute! Loving all of these ideas! So many great ideas, thanks for sharing with us! 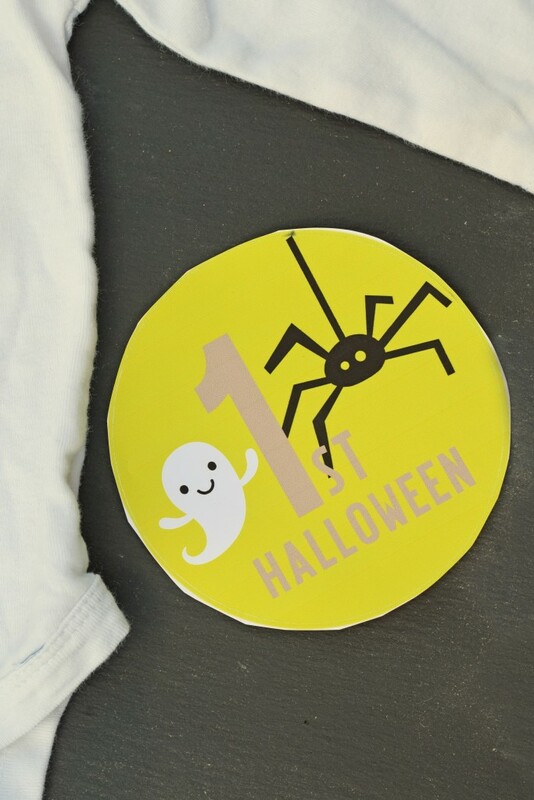 These are such cute ideas for baby’s first Halloween!